Damage to the trigeminal nerves, or to the trigeminal nucleus located deep in the brain, may be the root of this syndrome. Trigeminal neuralgia can also be caused by facial injury. 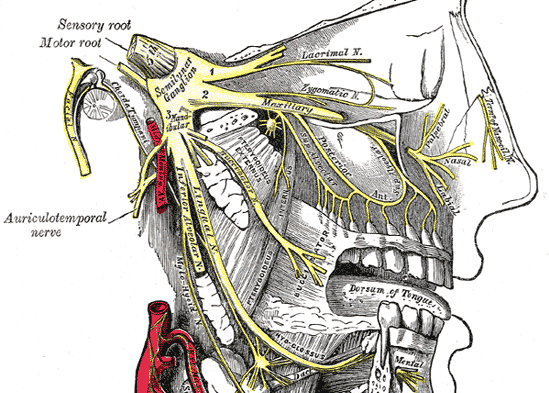 Migraines are also associated with inflammation to the trigeminal nerve or its branches. Some autoimmune diseases such as multiple sclerosis, lupus, or scleroderma cause this. It is also a result of herpes zoster (shingles), which is a viral infection that attacks nervous tissue and results in chronic pain. As the cause of trigeminal neuralgia is often inflammation, medications that prevent this are often used in migraine treatments. Non-steroid anti-inflammatory drugs (NSAIDs, e.g. naproxen or aspirin) are a common first-line treatment, but they are most effective in people with episodic migraines who suffer from headaches on ten days of every month or less. NSAIDs increase the risk of organ failure if they are taken constantly over a prolonged period. As it is common medical advice to increase a dose of medication in response to the onset of migraine, this risk with NSAIDs is magnified in migraine sufferers. Acetaminophen in high doses is also effective in treating mild migraines. Opioids are drugs that activate their receptors in the spinal cord to inhibit pain signals. Common examples of opioids include morphine, codeine, and fentanyl. These are often prescribed to patients with severe trigeminal neuralgia. Opioids are an effective treatment, but are associated with the risks of addiction and drug tolerance. Patients taking opioids for migraine may find their symptoms are much worse if they suddenly stop using them. 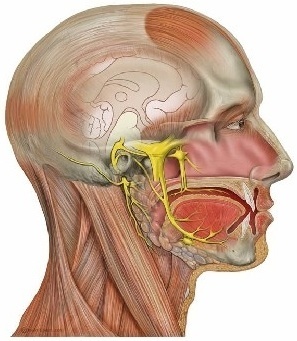 The trigeminal nerve branches merge into a single cluster of nerves located in an area behind the eyes. This cluster, called the trigeminal, Gasserian, or semilunar ganglion, can be a target of minimally invasive surgical treatments. These alleviate severe pain in cases that do not respond to less aggressive treatments. 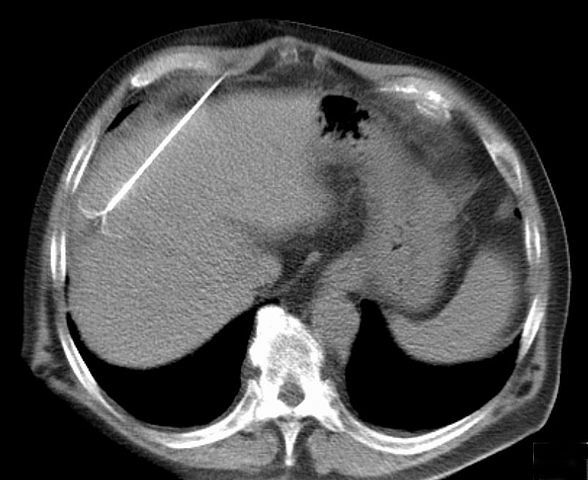 One of these is radiofrequency ablation (RFA). This procedure is done by way of thin probes inserted through the nasal cavity or mouth to reach the ganglion. The area is treated with a local anesthetic at the start of the operation. 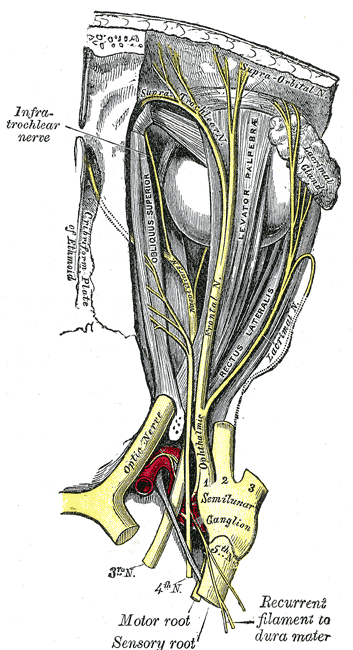 The ganglion is located with imaging techniques such as fluoroscopy or MRI, and the probe is inserted. Once at the ganglion, it emits electro-thermal impulses that selectively destroys the nervous tissue responsible for pain signaling. Ducros A. Familial and sporadic hemiplegic migraine. Revue Neurologique. Mar 2008;164(3):216-224.